J. Marshall Unger chaired academic departments at the University of Hawai’i, University of Maryland, and the Ohio State University from 1988 to 2004, and has been a visiting professor/researcher at Kobe University, Tsukuba University, the University of Tokyo, and the National Museum for Ethnography in Senri, Japan. He has received fellowships from the Guggenheim Foundation, Ford Foundation, and Japan Foundation (twice), and several research grants. He is the author of Studies in Early Japanese Morphophonemics (1977, 2nd ed. 1993), The Fifth Generation Fallacy (1987, Japanese ed. 1992), Literacy and Script Reform in Occupation Japan (1996, Japanese ed. 2001), Ideogram: Chinese Characters and the Myth of Disembodied Meaning (2004), and The Role of Contact in the Origins of the Japanese and Korean Languages(2008). 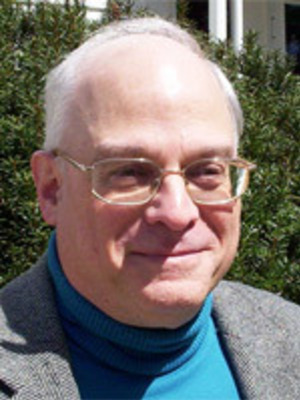 He led the team that produced A Framework for Introductory Japanese Language Curricula in American High Schools and Colleges in 1993 as part of a joint College Board-NEH project coordinated by the National Foreign Language Center. His articles and reviews have appeared in such fora as Language, Word, Diachronica, Journal of Japanese Studies, Monumenta Nipponica,Journal of Asian Studies, Japanese Language & Literature, Journal of the American Oriental Society, and Modern Language Journal, and he has been invited to speak in Japan, China, Taiwan, Korea, Australia, Canada, the United Kingdom, Germany, Denmark, and Belgium, as well as at many events in the United States. Avocationally, Unger is a trustee of Chamber Music Columbus, plays piano in amateur chamber ensembles, and is the faculty advisor of theWeiqi/Igo/Patwuk Club.